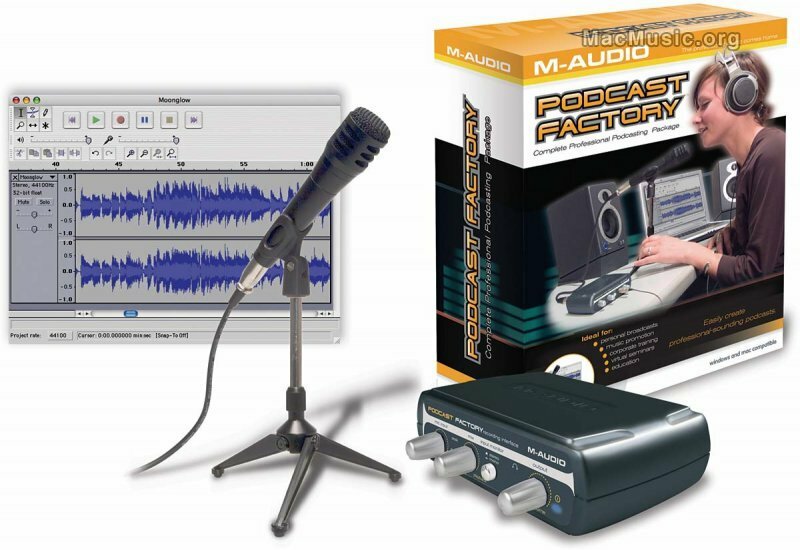 M-Audio unveils its new "Podcast Factory", a complete solution ti create podcasts with your Mac. This pack comes with a new 24-bit/48kHz mobile I/O audio interface called "Podcast Factory audio interface", with microphone preamp, two audio channels, a dedicated XLR input for the included dynamic microphone, a 1/4" input on the second channel with instrument and line levels, dual RCAs and 1/8" stereo headphone jack outputs. The Podcast Factory includes software that lets users record and edit program material such as speech, add music and sound effects, and post MP3s with RSS feeds to the Web.